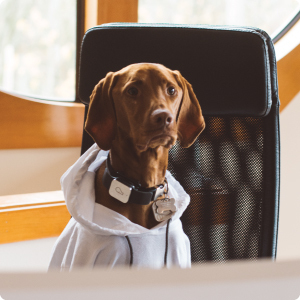 With more than 20 years in the Human Resources field and a certified trainer in advanced dog behavior, we know what it takes to get things done in business as well as with our best furry friends! We’re able to create world-class solutions that incorporate more than just the procedures and policies that you need. Our Mission is to increase productivity and employee satisfaction in the workplace, embracing the bond between humans and dogs. Our services range from overall advice to full implementation and maintenance of the Program Dogs at Work, creating customized plan options that best suits your company needs.